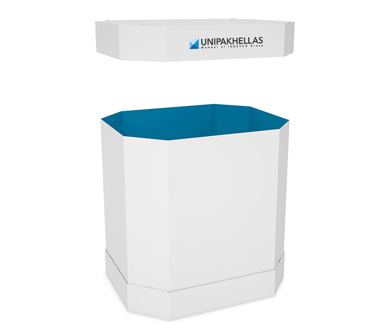 Bulk Bin with Double Cover - UNIPAKHELLAS S.A. Corrugated bulk bins with double cover to ensure easy stacking, strength and protection of solid and liquid heavyweight products. 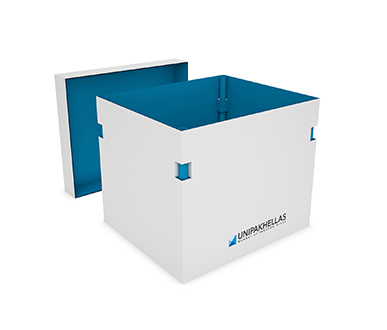 Our double-cover bulk bins ensure easy stacking, strength and protection for both solid and liquid heavyweight products during transportation. 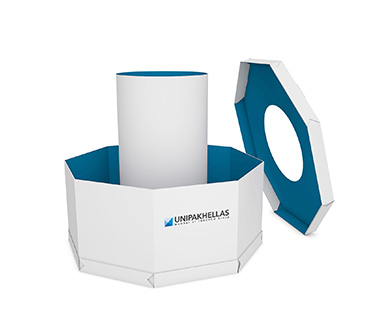 Made from corrugated, rigid packaging, they are designed to reduce bulging and product loss. Available in either double- or triple-wall board according to the weight of the products, the bulk bins can also be used as display bins. 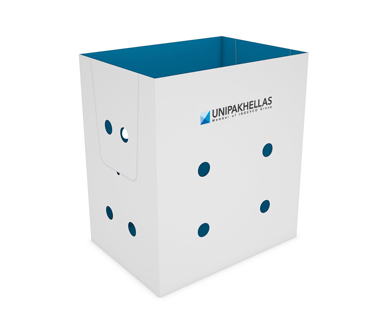 Our products are more lightweight and sustainable than wooden or plastic bins, and can be customized with either standard or high-resolution printing.